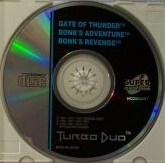 At the launch of the Turbo Duo, a 3-in-1 CD containing the shooter Gate of Thunder, Bonk's Adventure, and Bonk's Revenge was released as a promotion. 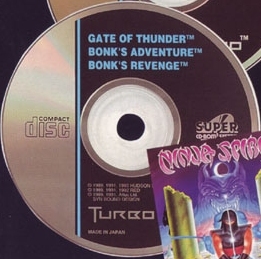 It turns out that the 3-in-1 disc was actually a 4-in-1 disc as the complete copy of TurboGrafx-16 Bomberman was included, accessible by a code! 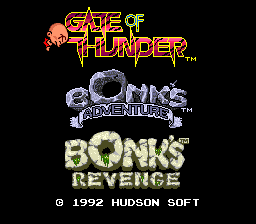 On the game selection screen press Up Right Down Left and II. 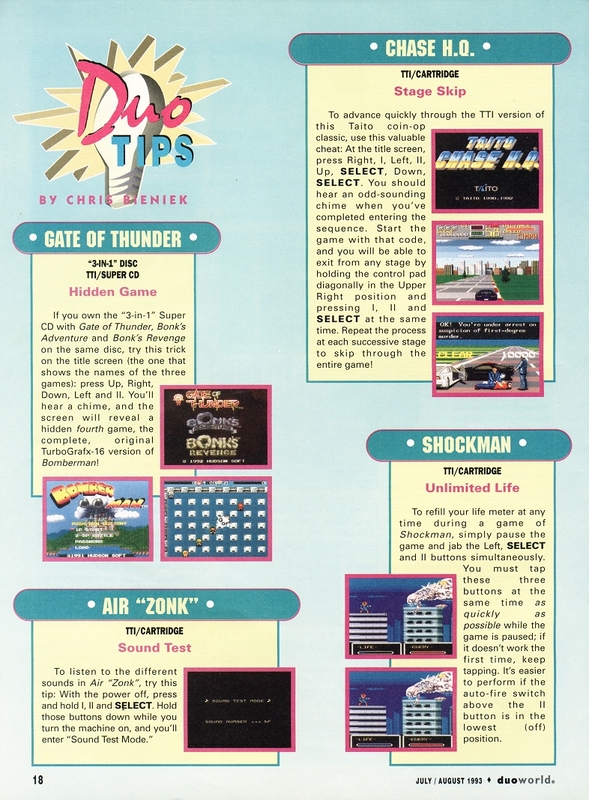 A chime will sound and the complete TG-16 version of Bomberman will load!